It's matched more than 2 million married couples. Now, eHarmony wants to help people find jobs that they love. On Friday, the company launched Elevated Careers, which has the lofty goal of matching people to jobs that will fulfill them. eHarmony hasn't exactly been shy about its plans to apply its algorithms to the job search. 81-year-old founder and CEO Dr. Neil Warren has been teasing the idea since 2013. "So many people don't like the job they're currently in," Warren told CNNMoney in February 2016. "They usually perceive it as a problem with their boss." Indeed, the vast majority of U.S. workers are unhappy with their current jobs. A recent Gallup poll found that less than 1/3 of workers are actually engaged at work. eHarmony's patented algorithm for love is based on 29 aspects of compatibility -- and it'll do something similar for jobs. It's matching people to employers based on 24 dimensions of culture, values and personality. Job seekers upload a resume and then complete five brief surveys. Questions range from basic facts like where you live, your gender and age (though it says this information won't be shared with employers). Then, it asks about your dream company. Is it innovative? Does it have flexible hours? Free snacks? Next, it gets more personal: Do you get frequently irritated? Are you competitive? It also asks about your current job and company culture: How often do you think about quitting? This information is used to find matches for job seekers -- but also to build internal company profiles on employers. It takes about 25 minutes to complete -- but take your time: I tried to speed through the questions and got reprimanded: "Slow down speedy! 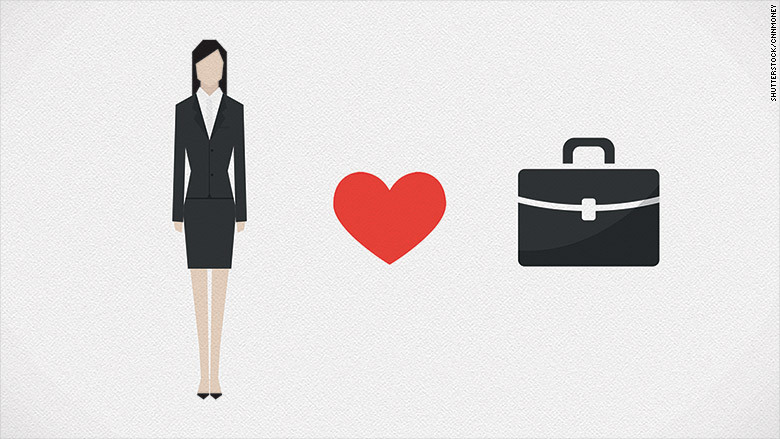 Getting your best job matches requires accurate answers. Think before you choose!" At the end, you'll get a compatibility scorecard for your current job and a look at how you compare to the general U.S. population in terms of job satisfaction. You'll receive about five potential job matches a week -- or you can also search the listings, all of which will offer a compatibility score. Elevated Careers is working with Simply Hired, which will supply it with roughly 2.5 million job postings a day. It's partnering with five companies to start with, including AT&T (T), American Airlines (AAL), and HomeAway (AWAY). Warren has said that eHarmony's couples have a better chance of staying together. Will it be able to improve the job satisfaction rate, too?